Handmade Crazy agate necklace with a Turquoise Pendant. 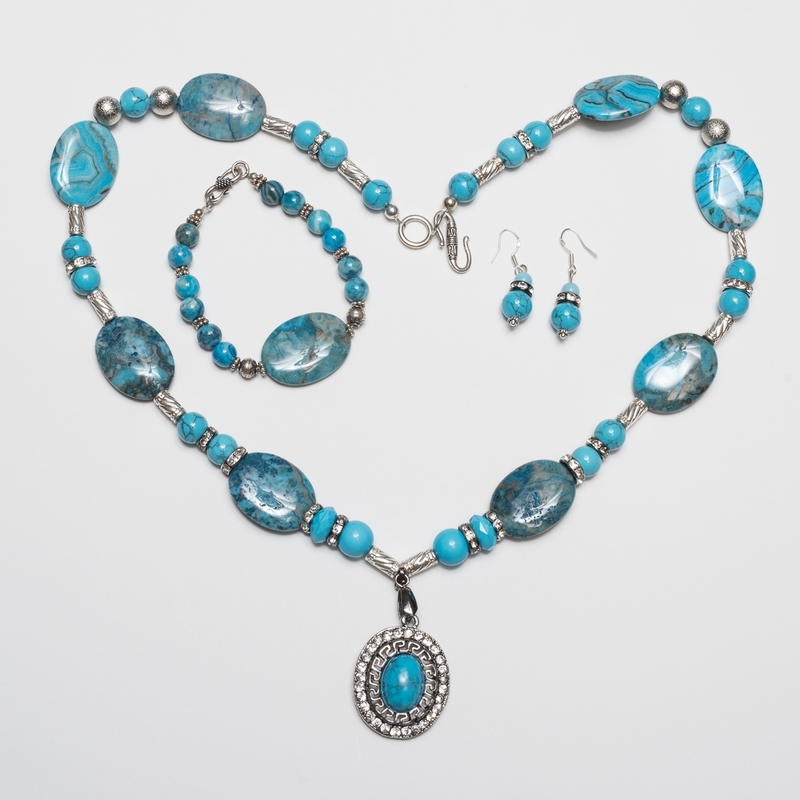 It comes with matching Turquoise beads earrings and Bracelet which has Silver separator beads. The length of the necklace is 26". Migraine Healing Necklace and Bracelet Multi-Stone Healing Necklace with Bracelet and Earrings Leaf shape bead necklace and Earrings Turquoise and Lava stone necklace with Bracelet.